Hi everybody. I have a cool Review & Giveaway for you. 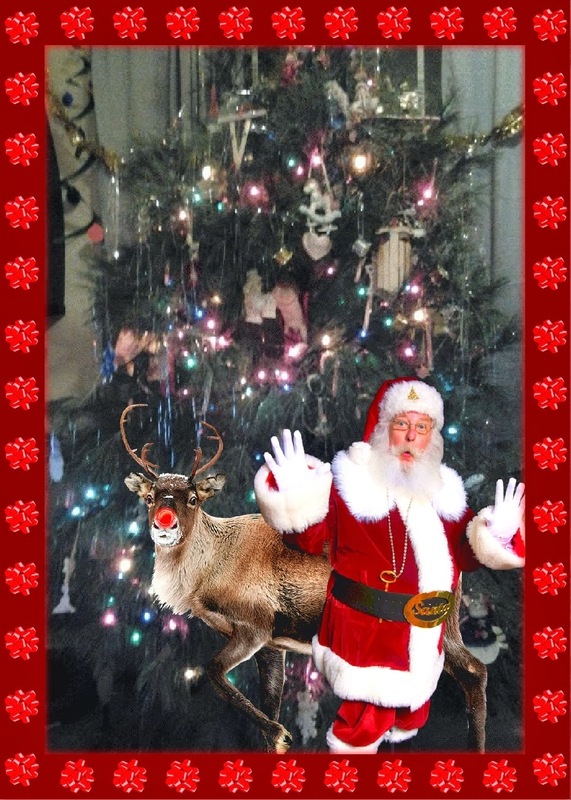 I received a coupon code for a free photo at iCaughtSanta.com. Isn't that cool! It's Santa & Rudolph in front of my Christmas tree. They visited the other day and I snapped a picture! If you and your family want to create one of these pictures, then I have 9 more coupon codes for you to do so! To create one of these the price is regularly $9.99, but I am giving away 9 codes to my readers for your own free picture. Do you want a picture of Santa leaving presents under your tree? One with just Rudolph? Then you should check out iCaughtSanta.com. There are 20 different poses that you can pick from for your picture. You can even have Santa outside your house with your Christmas lights or whatever you want. You just upload one of your own pictures and then create the picture from there. It is very fun & easy to do. Please enter to win a coupon code for your own iCaughtSanta.com photo! I have a 3 and 5 year old boys and they would love this! This looks like one of the funniest gifts I could give to a co-worker this year. It'll be a hit! This is so amazing! And I feel like our house is so distinct that seeing Santa in photos of it would totally make the kids believers. They really don't know the wonder of technology yet..not mine, anyway. Too young. I know they will know it soon enough. I'm entering this giveaway for extra entries in the NECTRESSE Sweetener Giveaway. I think my kids would LOVE this!! I would like to win as I would love to see my son and daughter's face when they saw my photo I did.